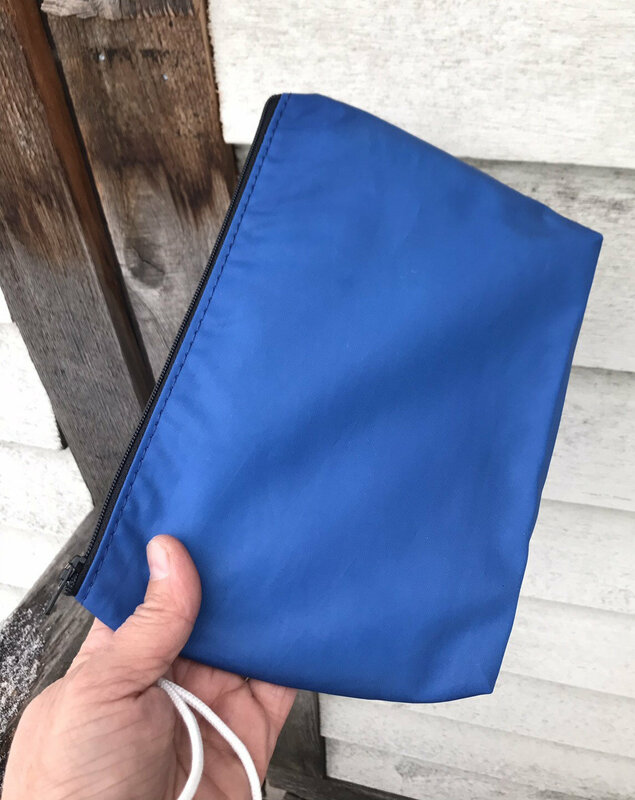 Recycled sailcloth pouches with rope handle are wonderful for toiletries, cosmetics and other accessories. 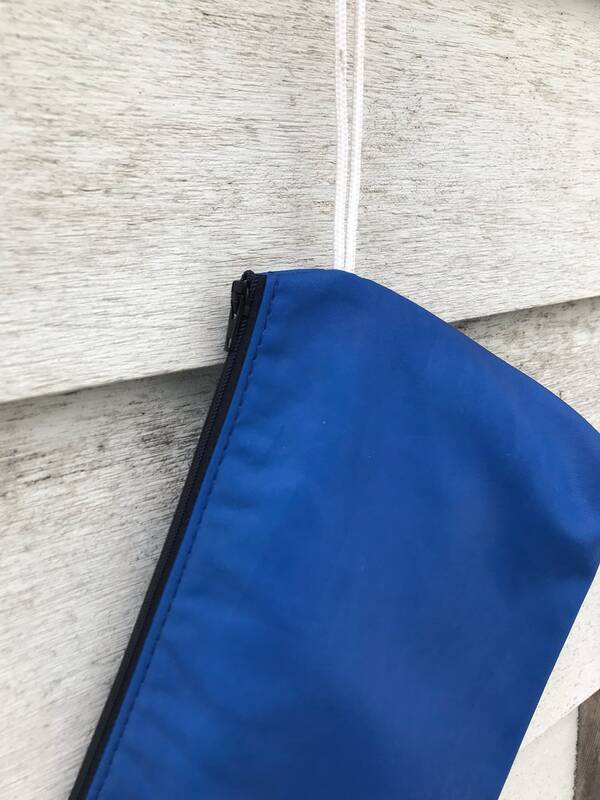 Sailcloth is known for its weather resistance, durability and light weight. 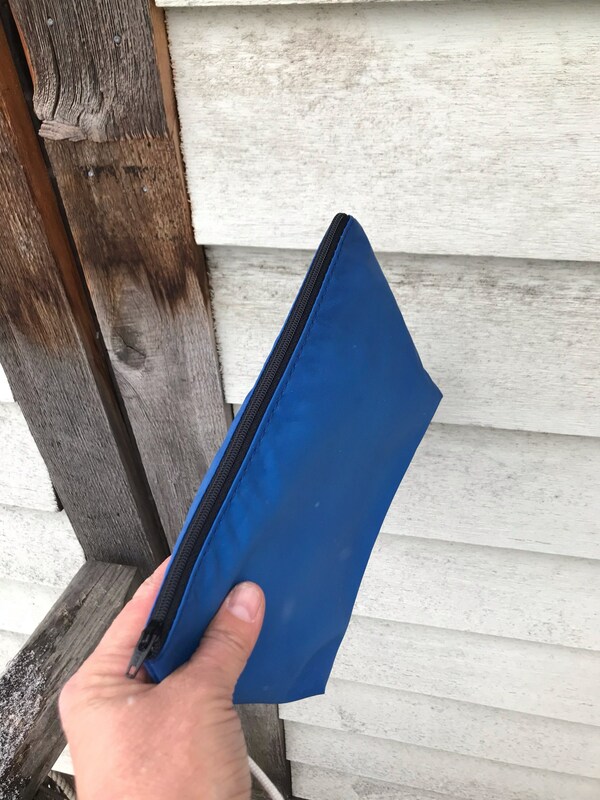 This pouch is navy sailcloth with a navy zipper. 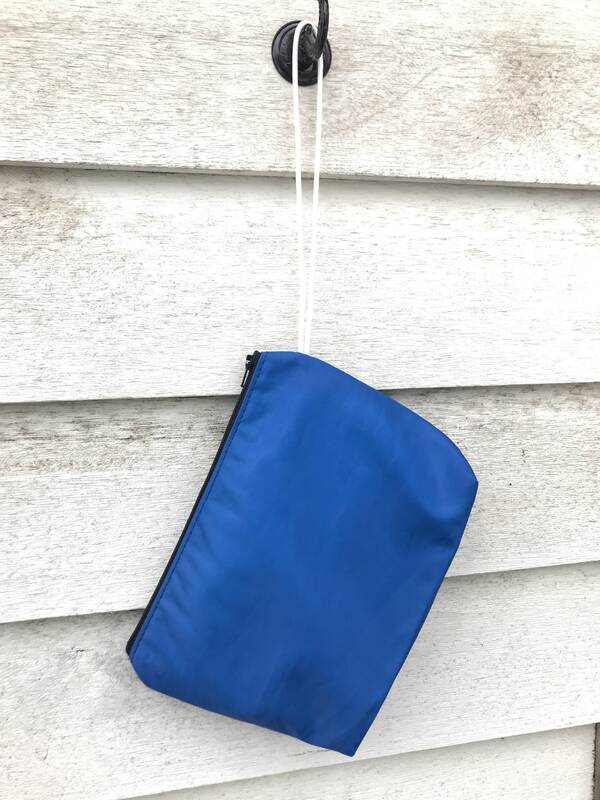 These pouches are the same ones shown at the One of A Kind Chicago Spring 2018 show.